BILL FRISELL: A PORTRAIT is an excellent look at the man and his music. However despite being a great look a the guitarist the film is not going to be everyone's cup of tea. Nominally your typical bio doc with long discussions of Frisell and the people he's worked with and influenced (that's pretty much everyone) mixed with tons of music the film pretty much lets you know everything you want to know about the man.We hear stories about his working with everyone in every type of music as we hear the music that they made together. Its a wonderful celebration of the man. 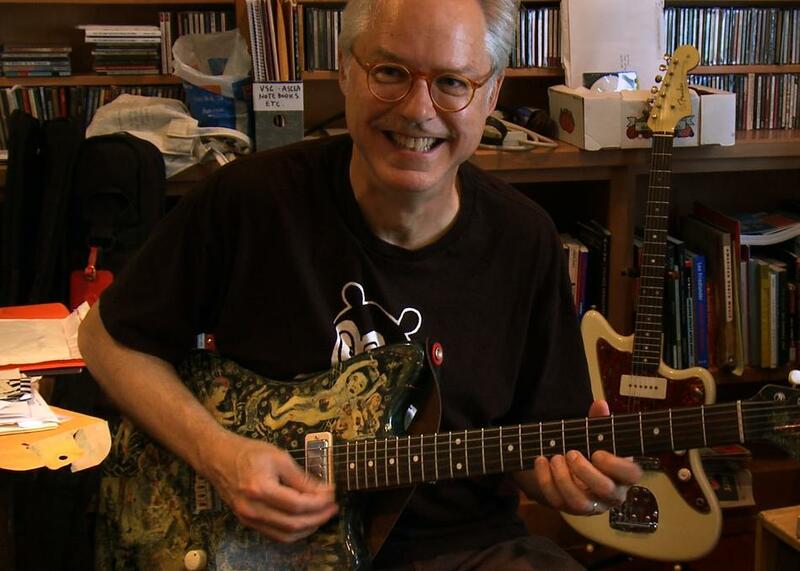 The trouble is if you don't know Frisell, and even if you do, this can be a long haul. Sequences go on and on. Discussions with various people seem to repeat points and the whole thing takes a leisurely pace. Each piece is wonderful on its own terms but together the films almost two hour run time seems to stretch out. I found that watching the film on Festival Scope Pro I was turning off the film and walking away. It wasn't that the film is bad it's just I was drifting off. Don't get me wrong I don't not like the film, I think it's super. Hell, sequences such as the opening one with artist Jim Woodring where they talk about how some things such as art and music being beyond words are stunning. However I just found that at times it's simply too much (and maybe some of it is too inside). Still the film is really good and it is recommended especially for fans.